How many female trainers are there in the world rankings – and who are they? There are 24 women in the list. Just 24. Which means that just over 95 percent of horses that race in the best races across the world are trained by men. Now, obviously there’s a culture thing going on. Once, women weren’t even allowed to hold a training licence at all. Anywhere. And change – progress, if you will – has been slow, as it always is. Nowadays, though, there are more females than males working in racing stables, more females than males with a love of the horse generally. And there has been a fabulous recent history of great training achievements by women. Think Criquette Head-Maarek and Gai Waterhouse, who have both trained more than 100 G1 winners, both been champion trainer, both won their countries’ greatest races. The highest female trainers in the British Horseracing Authority’s 2017 flat championship, which is based on prize money, are Ruth Carr (22nd with £370k), Amanda Perrett (35th – £228k) and Eve Johnson-Houghton (50th – £166k). None of them has had enough Group race performers to go close to the world rankings though. Yet 49 male trainers with Britain as their Modal Country (the country where they have the most runners) do make the list. Perhaps this says something about the big flat racing owners in Britain. Of the British classics, there have been just six winners trained by females – and four of those were by Criquette Head-Maarek. (Laura Mongan won the St Leger last year, Pam Sly the 1,000 Guineas in 2006.) The only other front-line Group 1 ever won by a woman is the Champion Stakes, which Lady Cecil won in 2013, Corine Barande-Barbe in 2011 and Mme Head-Maarek (who else?) took in 1993. Six of the 24 females in the table above are from Europe: three from France (although that includes the increasingly impressive Chantilly-based Pia Brandt, who is Swedish), two from Ireland (note that #6 Jessica Harrington is primarily a jumps trainer) and one from Germany. France’s trio includes Head-Maarek, whose stable is still recovering from the effects of a severe virus. 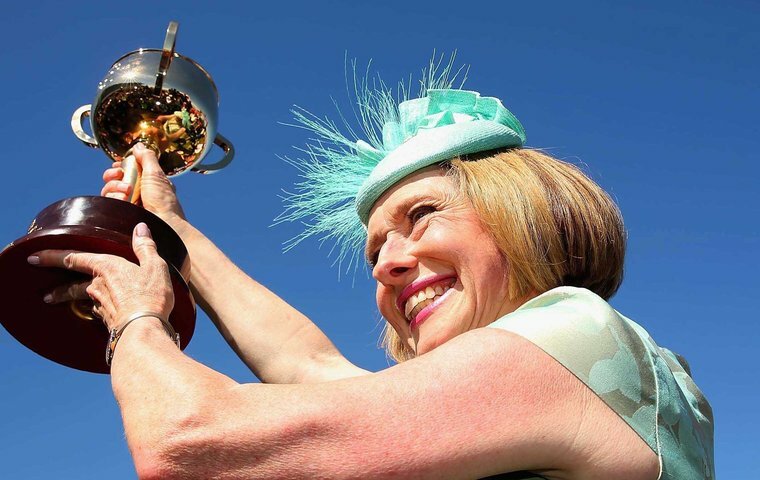 Predictably, Gai Waterhouse, who now operates as a partnership with Adrian Bott, is #1 female (and a solid #29 in the overall rankings, and the sixth highest on the Australian list). She heads a group of five from Australia and two from New Zealand in the 24.